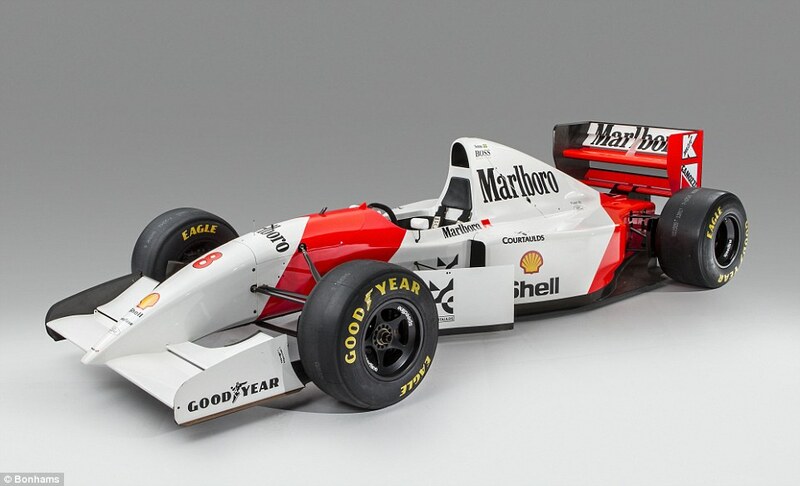 A trio of iconic Formula One cars from yesteryear were sold to the highest bidders at a Monaco auction this weekend, fetching a collective figure of a staggering €6.5 million (£5.7 million). 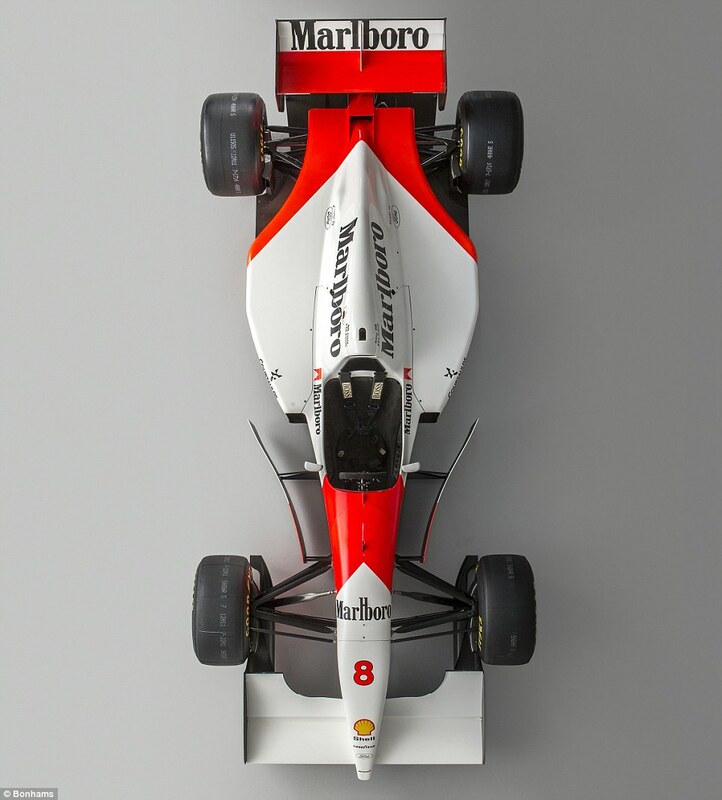 Of the three cars to go under the hammer on Friday evening, the standout was Ayrton Senna’s 1993 race-winning McLaren, which was purchased for a whopping €4.19 million (£3.7 million). 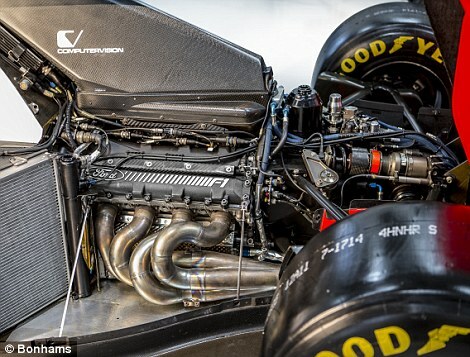 Auctioneers Bonhams have refused to reveal the identity of the person that bought the Ford Cosworth-powered MP4/8A driven by the Brazilian legend, but said it went after a ‘lengthy and spirited bidding exchange’. 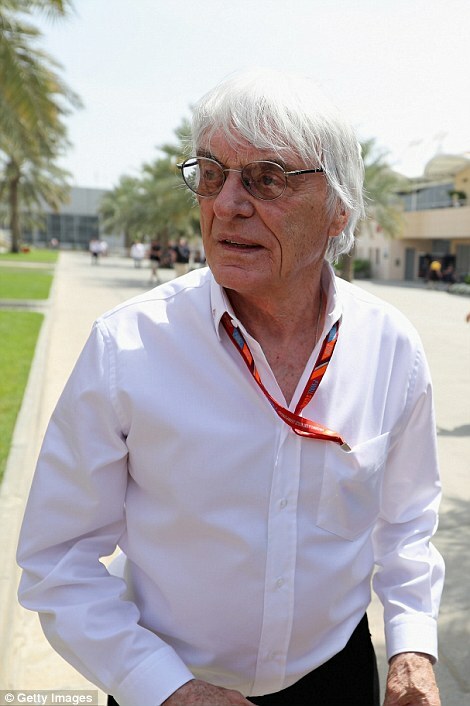 Early reports had suggested the new owner was none other than former F1 boss Bernie Ecclestone. However, he has since quashed the rumour. The sale was just one of a number of auctions held over the weekend during the 11th Grand Prix de Monaco Historique – a classic race-car gathering at the 2.1-mile harbour-side public road turned racing circuit. 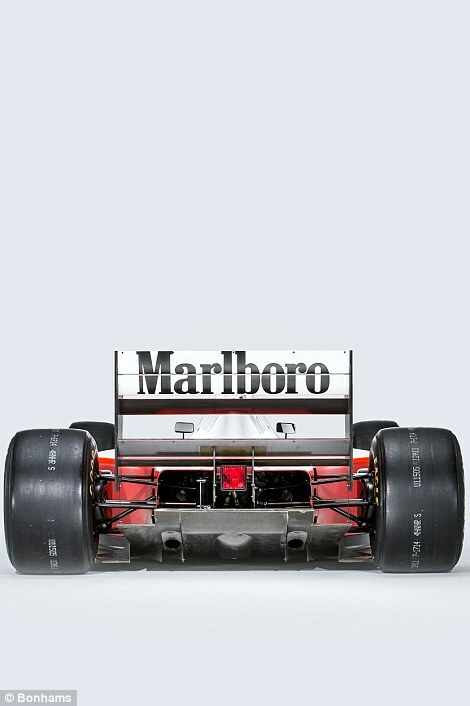 While iconic high-value vintage motors were on the agenda elsewhere, Bonhams’ ‘Les Grandes Marques à Monaco’ sale on Friday evening featured a trio of F1 cars of serious significance. 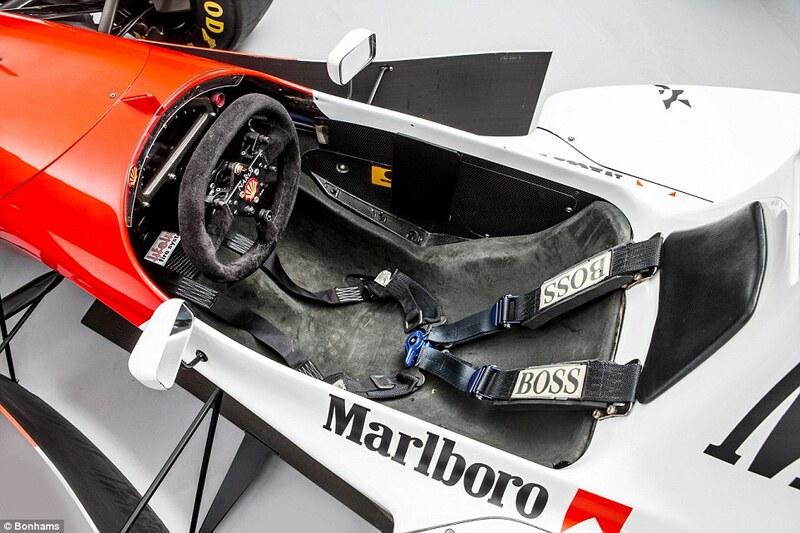 Senna’s 1993 McLaren was built up as the star of the show and didn’t disappoint – though the sales fee was someway short of the higher estimate of €5 million. 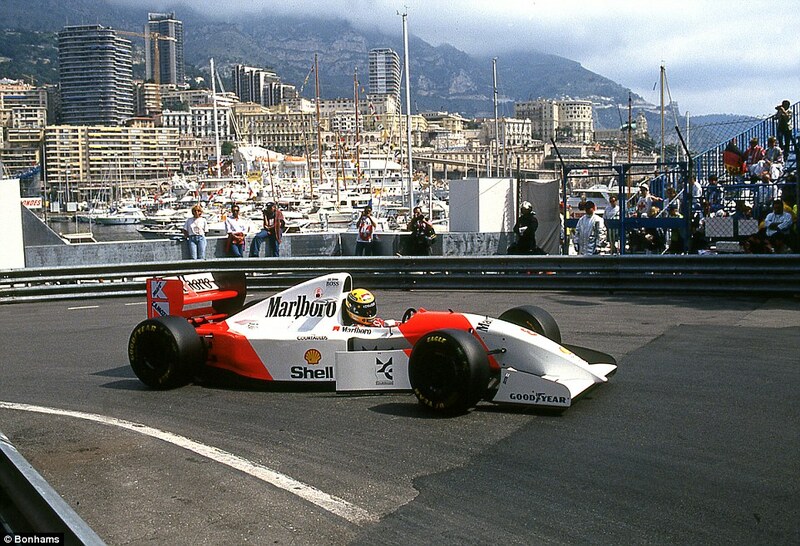 Media reports released soon after the sale concluded hinted that Ecclestone – who already has an extensive collection of race cars and was in Monaco at the time – was in fact the successful buyer. However, the former Formula One supremo denied the reports when Reuters phoned him to ask the question. 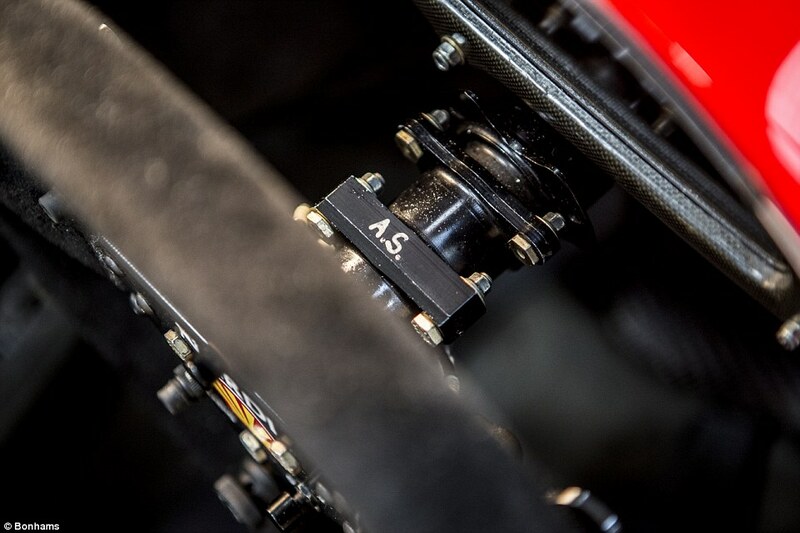 Whoever the winning bidder was, they have undoubtedly purchased a piece of racing history. 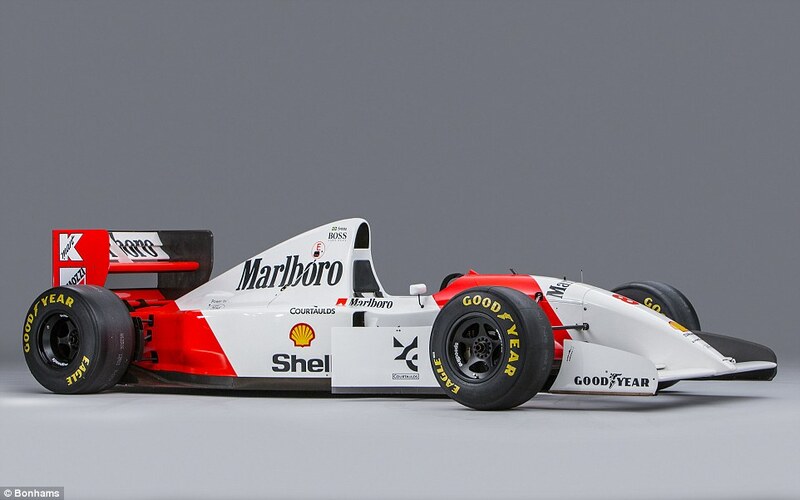 The McLaren was the last Formula One car raced at Monaco by the three-time world champion, who died at Italy’s Imola circuit in a Williams in May 1994. That makes it the final car he piloted at the most famous of all street circuits and the same one he overtook Graham Hill’s record to achieve six wins at Monte Carlo. 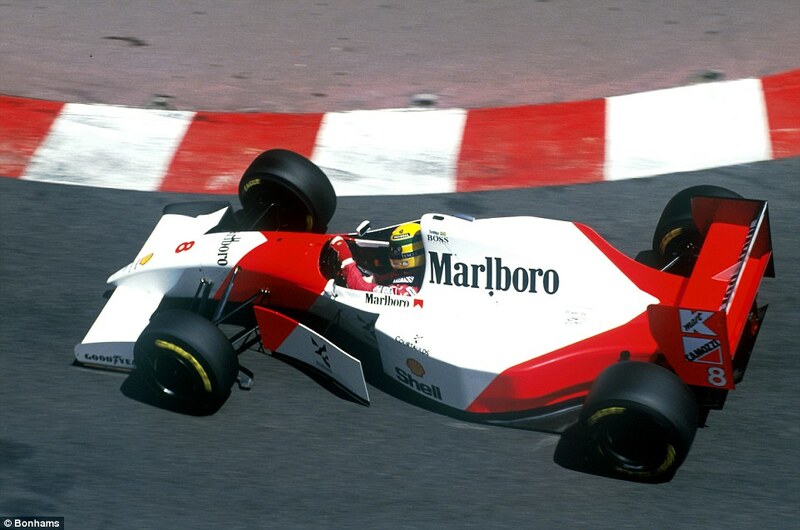 Senna also drove chassis number 6 in no fewer than eight other races in the ’93 campaign, including Canada (18th), France (4th), Britain (5th), Germany (4th), Belgium (4th) and Italy (DNF). 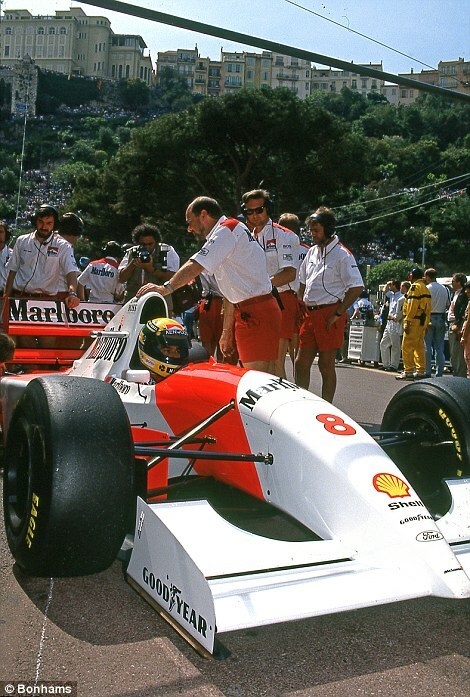 However, the victory at Monaco will be the most fondly remembered, not least because he managed to win after crashing the car heavily in practice, badly damaging his thumb. 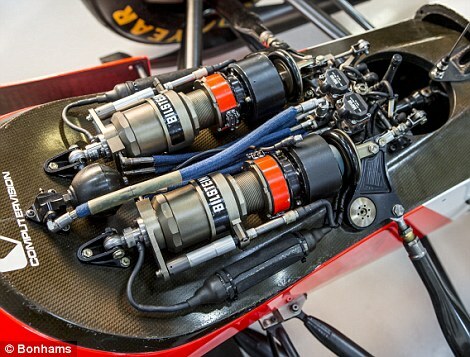 Bonhams said the fully-functional car, which still has the original V8 engine and gearbox from the record-setting race, was the ‘most historically important Formula One McLaren’ it had ever presented at auction. Philip Kantor, Bonhams European head of motoring, said: ‘This sale has been an absolute triumph. We achieved astonishing prices across the board and found new owners for some of the most historically important cars to come to public auction in Monaco in recent memory. 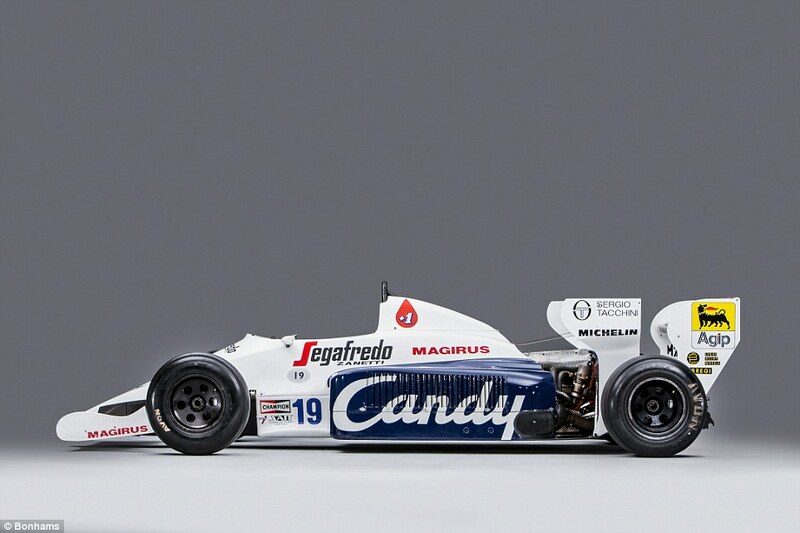 While his McLaren didn’t quite make the higher echelons of the pre-sale predicted value, Senna’s first Monaco car – a 1984 Toleman-Hart TG184 – shattered estimates Bonhams had placed on it ahead of the auction. 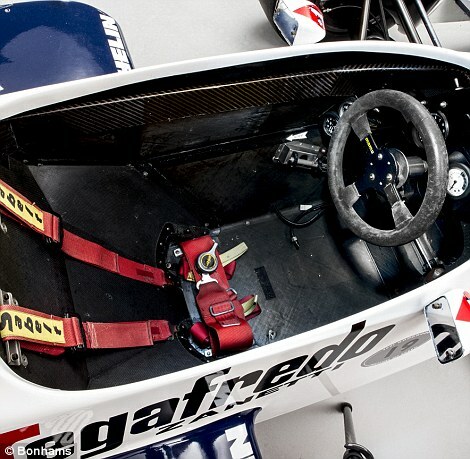 It’s the famed car that Senna piloted to second place in the 1984 race, which was cut short due to torrential conditions. 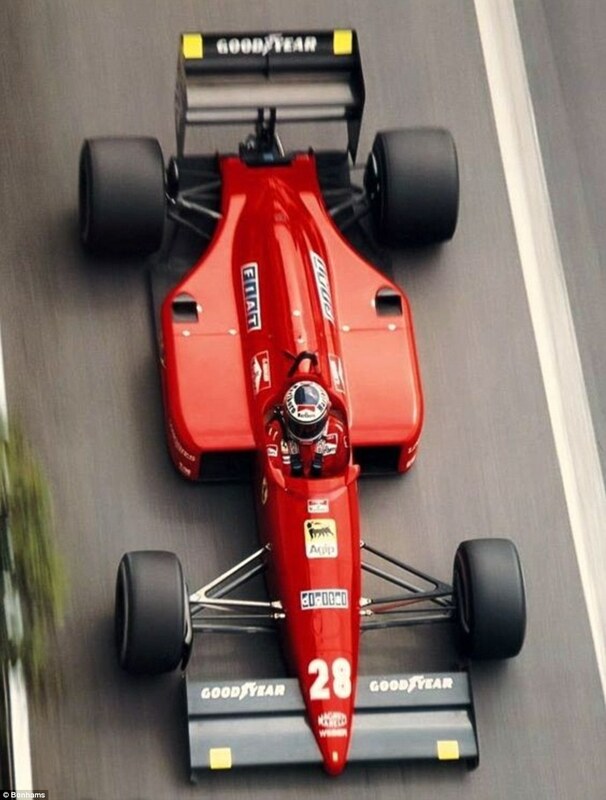 The Brazilian, who had qualified in 13th behind the likes of Nigel Mansell, Niki Lauda and Nelson Piquet, put on a dazzling display of wet-weather driving to finish just behind Alain Prost, who would go on to become Senna’s biggest nemesis during his immensely successful career. 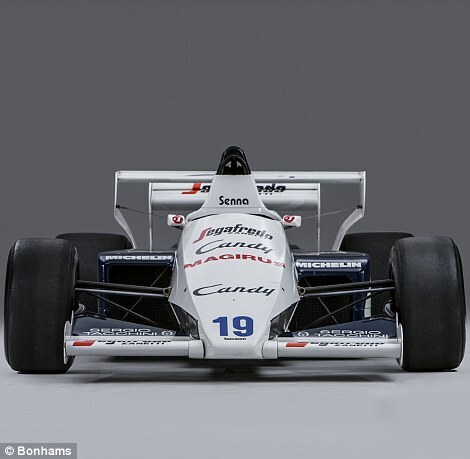 The Oxford-built Toleman far exceeded its pre-sale estimate of €750,000 to €1 million, realising an impressive €1.6 million (£1.4 million) after an ‘intense bidding battle between several buyers’, according to event organisers. 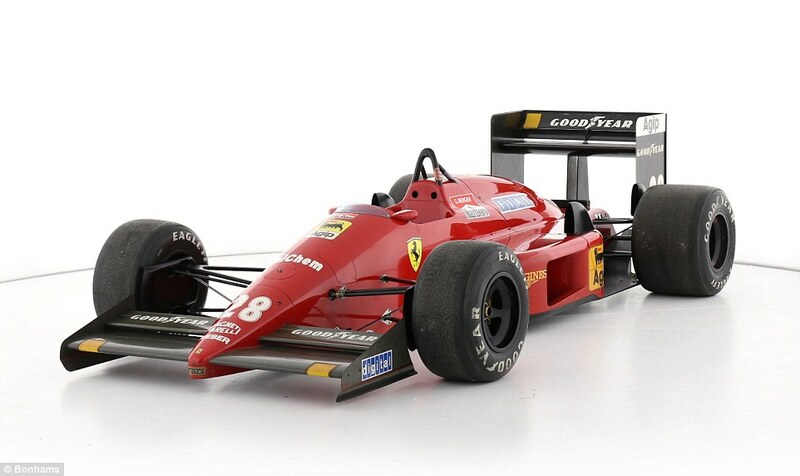 Also sold in the same auction was a 1987 Ferrari outfit used that season by Michele Alboreto for the Scuderia Ferrari team. 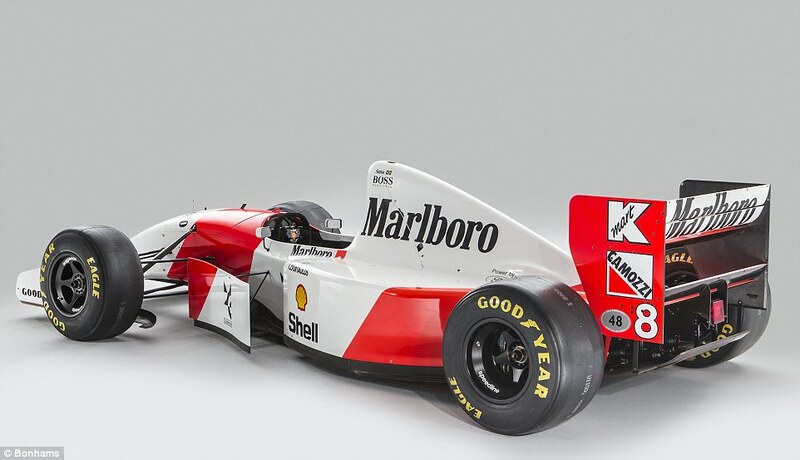 It sold for a sum of €666,666 (£587,000). 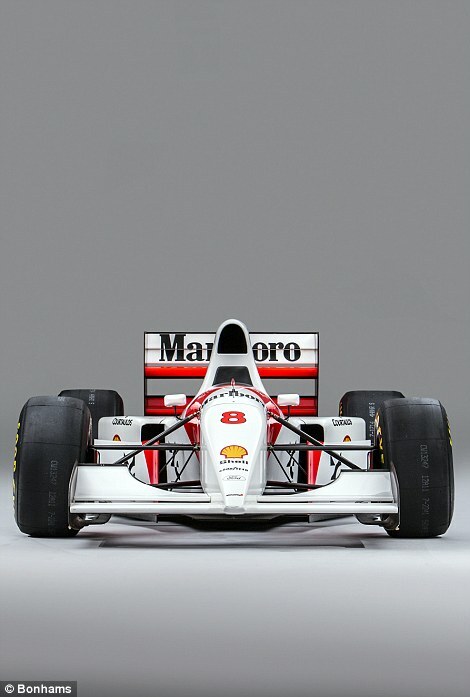 You can see all the results from the Bonhams Monaco sale by visiting the auction page.